An echo chamber is an insular communication space which is free of serious debate. Participants within that space repeat the same opinions. No one calls anyone else out, and criticism is frowned upon. With an “echo chamber,” certain ideas, beliefs or data points are reinforced through repetition. The system is closed and does not allow for the free movement of alternative or competing ideas or concepts. In this situation, certain ideas or outcomes can win out because of an inherent unfairness in how input is gathered. Often groupthink and tunnel vision are contributing factors. Participants may find their opinions constantly echoed back to them, which reinforces their individual belief systems. Individuals who participate in echo chambers often do so because they feel more confident that their opinions will be more readily accepted by others in the echo chamber. It is important to distinguish the difference between echo chambers and filter bubbles. Both concepts relate to the ways individuals are exposed to content devoid of clashing opinions, and colloquially might be used interchangeably. However, echo chamber refers to the overall phenomenon by which individuals are exposed only to information from like-minded individuals, while filter bubbles are a result of algorithms that choose content based on previous online behavior, as with search histories or online shopping activity. Are Echo Chambers always harmful? Although echo chambers can be unhelpful in limiting thought and perspective, echo chambers also can have a very powerful impact on enabling human thinking in new areas. Advancements in mathematics & theoretical physics. Einstein had many contemporaries. Some new fields of math, such as calculus, were invented by multiple people, simultaneously. In art & music. Consider that most classical music was made by European composers who were contemporaries of each other. In modern day, computer games lept forward the moment 3D gaming was proven to be possible by ID software, the inventors of Doom. 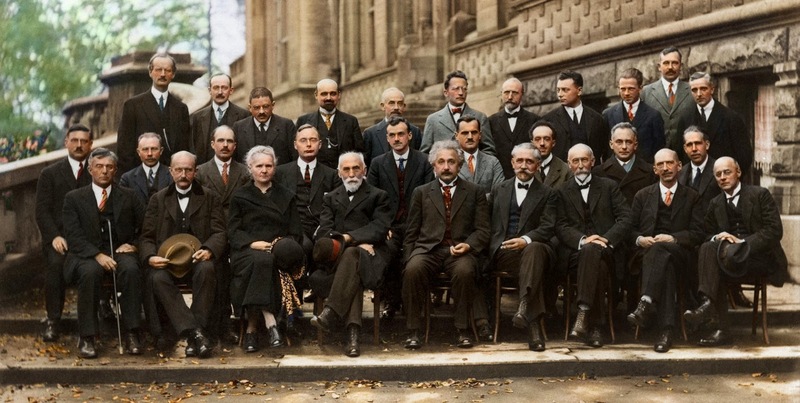 The Solvay Conference (1912) was considered a turning point in the world of physics. 17 of the 29 attendees were or became Nobel Prize winners. Among them, Albert Einstein, Erwin Schrödinger, Wolfgang Pauli, Werner Heisenberg, Niels Bohr, Max Planck, Marie Curie, and many more. Challenge your worldview. Learn how to confront and push back the limiting beliefs you were taught, and broaden your perspective on how you can live your life best.